I recently blogged about the power of iBook Author and the new iBooks2, now I turn to iTunes U or the iTunes University app and how it also supports learning. 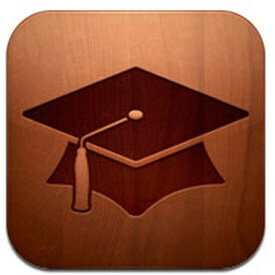 The iTunes U app gives anyone with an iPad the opportunity to follow courses from hundreds of different institutions. From big universities such as Harvard and MIT to smaller schools and state districts – Education Scotland for example have courses you can follow in Gaelic, Literacy and English even down to resources for Early Years education. The courses you can download come with lectures, lecture notes, quizzes, tests, texts, all manner of different learning opportunities, which work in a very similar vein to the books in iBook 2 albeit they are set out a little differently. 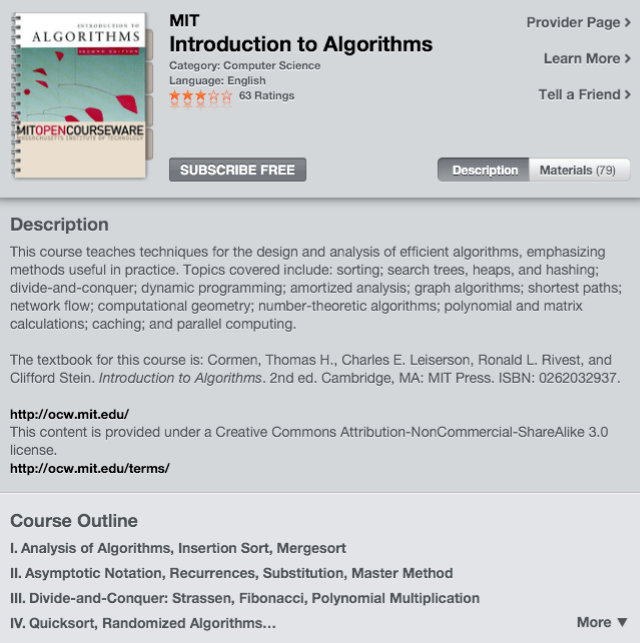 I recently was covering the introduction of algorithms as part of the AQA AS Computing A Level course and my students’ learning was further enriched by the opportunities given by iTunes U and MIT’s course ‘Introduction to Algorithms’. I was able to use my iPad in lessons following my delivery in the course to give students the opportunity to see and learn what further learning in this area would be like at a University level. Not only did this give the students the opportunity to see this, but it raised their aspirations considerably. They were excited by the prospects that furthering their studies in this particular area could bring. Inspired by seeing the iTunes U app, some of the students currently have their own iOS device and were able to download the iTunes U app and then download the course for themselves and since then have been working through various parts of it. Another student who was interested in learning about creating apps in iOS too, so they also downloaded a course from Stanford and they have been working through that too and have begun working on creating their own app. what if these opportunities weren’t there? What if students couldn’t access this? The opportunities for engaging students here are brilliant and as a result I’m seeing the students now extending their learning further, far further than they would have been able to previously. I just hope that our 1:1 scheme goes ahead. The case for this is increasingly compelling and the opportunities for learning keep being extended further and further.